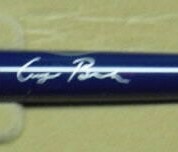 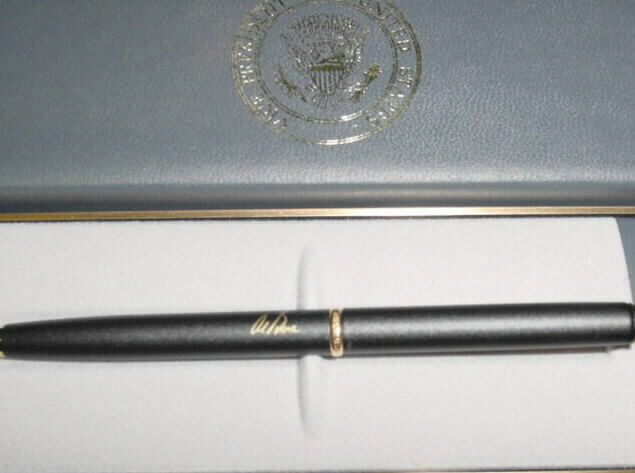 Here is a beautiful and official Parker Ball-point Pen that was an official Pen used by Vice President Al Gore. 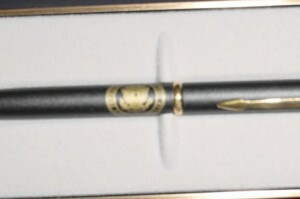 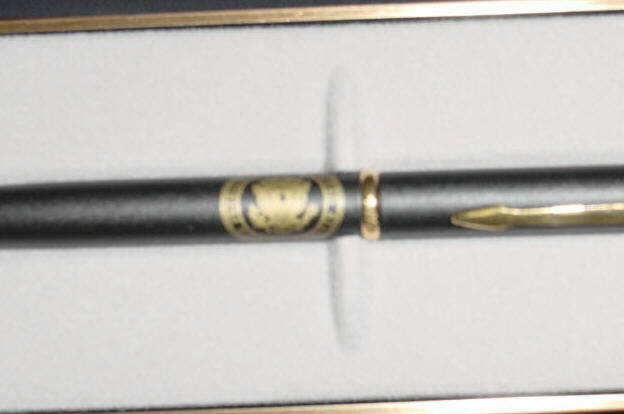 It is the nicest of the Vice Presidential Pens and is in pristine condition. 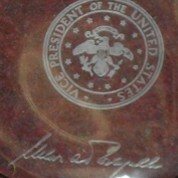 It comes in the original faux leather and brass box and has the Vice Presidential Seal in gold on both the inside and outside of the box. 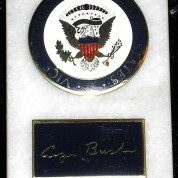 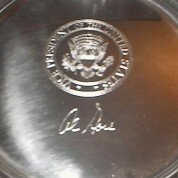 The Vice Presidential Seal and Al Gore’s signature are on the Pen.